The Hills Dentistry brings a new age of modern dentistry to ensure every patient’s experience is comfortable, enjoyable and timely. We promise to educate every patient on all their options from treatment to payment, and make them feel confident to trust us as their dental leader. Our primary focus is to not only achieve beautiful smiles but to connect with each patient and build a lasting relationship and make dentistry enjoyable! 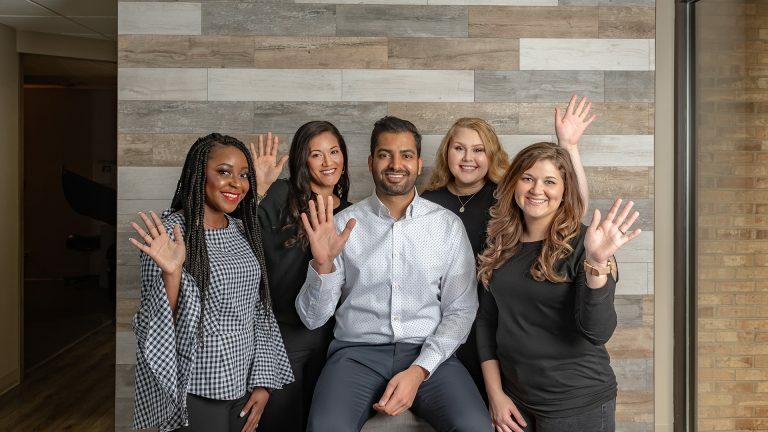 To respect your time, we’ve invested in the latest and greatest technologies and to make it a dental experience, unlike any other, we have our personable and energetic team to cater to your every need.